I love my skincare, as most of you know by now. It's so important in not only helping your makeup do its job, but ensuring it looks good for years to come. There's a reason why so many older woman look younger, and it's not just good genes! Double cleanse is my saviour when it comes to keeping my skin in check. No amount of makeup remover wipes or half-arsed facial scrubs are going to do it any justice, but a double cleanse can't be beaten. If you're not double cleansing, you've got to start as it's not a fad, it just works. At night, I'll generally start with an oil based cleanser to remove all my days makeup and then move onto something a little more hardwearing. Pai Camellia & Rose Gentle Hydrating Concealer is one of the most luxurious cleaners I've ever used. With a brand used by the likes of Natalie Portman and Mila Kunis, I knew I was onto a winner! Pai has a commitment to sensitive skin of all types, so it doesn't matter if you're dry or oily, young or old, they have something for everyone. Another massive bonus is that (aside from their Bergamot Organic Lip Balm) all products are Vegan accredited, Cruelty-Free and hold a certification from the Soil Association as well as being free of all those chemical and synthetic nasties. As my skin is dry, prone to dehydration, has a touch of oil along my t-zone as well as sporting some rather 'dashing' redness with a tiny cluster of spider veins I was in dire need of something that was going to help. I was recommend the Camellia & Rose Gentle Hydrating Cleanser as my skin was so out of balance. As 99% of skin imbalance comes down to cleansing, this sounded like the perfect answer to my skincare woes. Let me start by saying that the packaging alone makes me want to buy up the entire range in my skin type. 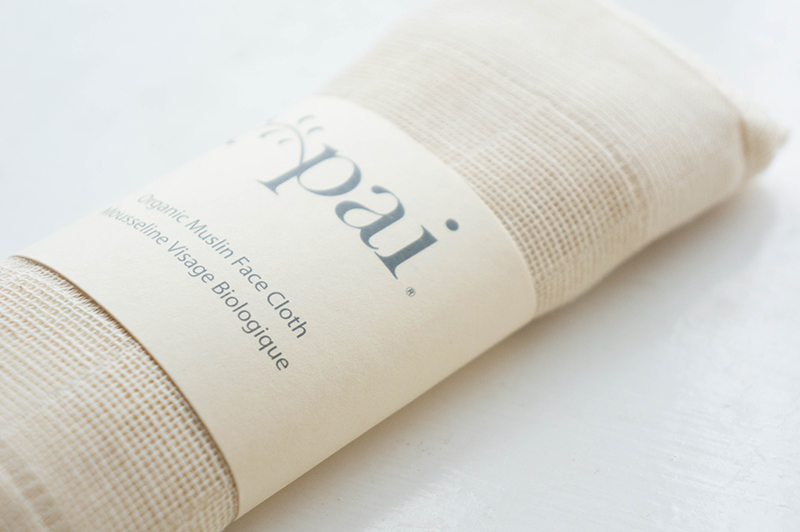 The cleanser comes with an organic muslin cloth, perfect when removing this creamy and gentle product. I was struck by how lovely the scent was as I'm not a massive fan of rose (which unfortunately features in a fair amount of dry skin products due to its properties), and the camellia pushes it back to a much more neutral floral fragrance. I love really working this deep into my skin, and massaging it away with the cloth. It leaves the everything smooth, silky and highly nourished. It has been my go-to cleanser for a week now, morning and night and has made drastic improvements to my tone, clarity and texture of my skin. 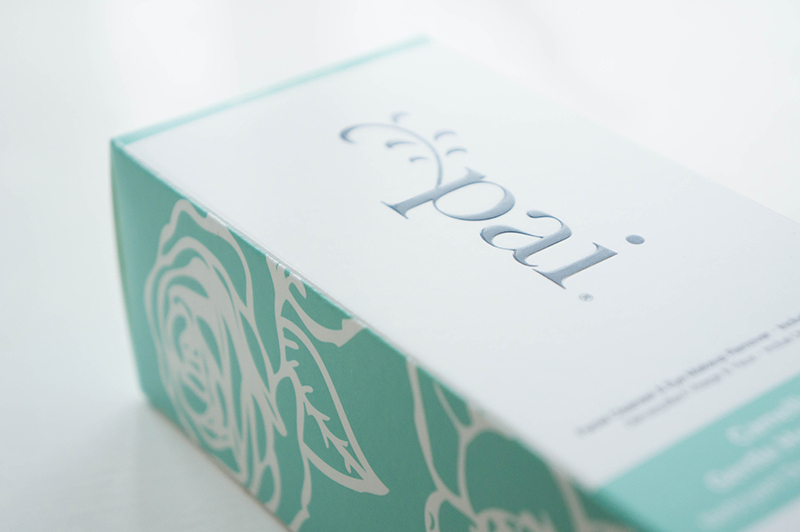 Have you tried any Pai skincare products? What is your favourite cleanser? For a really nice quality product, I think the price is reasonable. Especially as I don't use the 3 pumps it says on the back, one does me just fine. You're definitely working it for 32, girl. I need to keep this up and maybe I'll look half as amazing as you! I recently started to double cleanse because it worries me how little just one cleanse actually does! My skin is quite troublesome in the sense that I get break outs and they tend to take AN AGE to go away, and if they ever do there's an annoying little scar! This skincare sounds amazing so if I'm feeling luxurious next time my Liz Earle runs out I might give this stuff a go! You've made me very happy today, thank you so much. Really good review :) I love the packaging of the product - it looks so pretty. It's so dreamy, it looks wonderful on your bathroom cabinet. There is a chain here called Lush, which sells oodles of cruelty free, yet cutting edge beauty/hygeiene products. Don't think they carry this, though. They really should start. I think Lush is a British brand Todd, I love it there! They only stock their own products though. I've heard so many good things about Pai, personally I'm a fan of Shu uemura cleansers, xoxo. I've not tried any Shu Uemura cleansers, I've only got their amazing eyelash curlers. I must have a look at these! 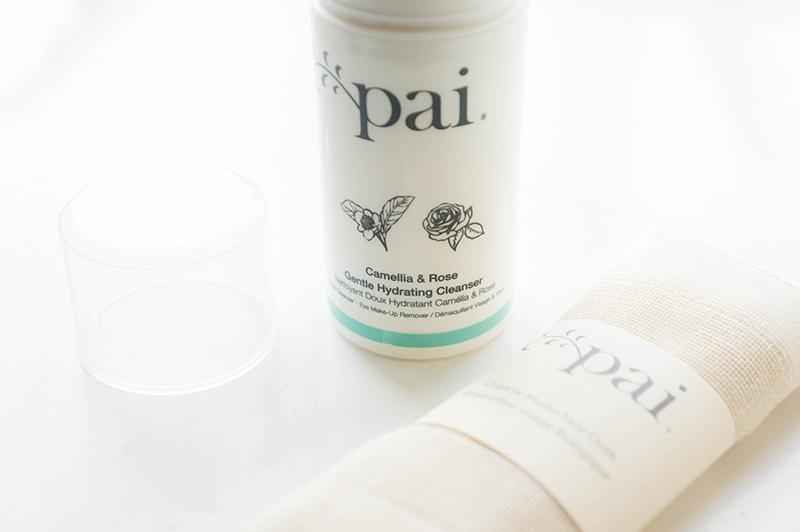 I saw this Pai cleanser in one of my local health food store and I was so tempted to try it out. Pai sounds like an incredible brand. I was so impressed with it, I will be repurchasing once I've finished and also getting a toner and moisturiser too. How much does it retail for over there? I wonder how it compares to Liz Earle... Intrigued. I've not tried any Liz Earle, but would love to.